Does anyone care about it though? Microsoft has updated its Windows 10 FAQ to answer one question pertaining to Windows RT, its ARM-based operating system that powered its first two Surface tablets alongside a number of other devices from a wide range of manufacturers. The company confirmed that there will be an update coming for the remaining Windows RT users around the time of Windows 10 release; Microsoft's new flagship operating system will be launched in a month, on Wednesday 29th July. What hasn't been spelt out though is what that update will consist of. 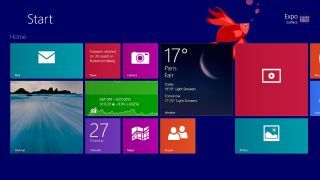 An update to Windows 10 has already been ruled out previously given the complexities associated with running a traditional Windows 10 on an ARM. However, expect some functionality of Windows 10 to come to Windows RT; Edge, Continuum and a better Store being the most likely. Hello and Cortana require a bit more processing power than these devices could deliver so are likely to be ruled out altogether. Windows RT was perhaps far too ahead of its time in trying to persuade people that ARM-based hardware was the future of Windows devices. They were underpowered, they were not as affordable as expected and legacy apps could not be run.